London: London has so many fine Indian restaurants, it’s tempting to wonder if there is room for anything new. Chef Atul Kochhar, who won Michelin stars at Tamarind and Benares, reckons he has the answer: He’s serving the cuisine of the so-called Seven Sister States. This mountainous region of North East India is geographically and culturally distinct from the rest of the country, with a cuisine that reflects the harsh climate and the difficulty in growing crops. “The cuisine in that part of the world is quite unique in a lot of ways and it doesn’t gel immediately with what we know as Indian food in this country, or even in India,” Kochhar says, sitting in the new Mayfair restaurant, Kanishka. The seven states are Arunachal Pradesh, Assam, Manipur, Meghalaya, Mizoram, Nagaland and Tripura, plus Sikkim. They are far off the tourist trail and quite distinct. Nagaland has 16 different tribes, each with one or more dialects, and Tripura about 20 tribes, according to the website of the Tribal Cultural Heritage in India Foundation. At Kanishka, there are two ingredients you won’t find on the menu, no matter how much he says he is striving for authenticity. One is yak. 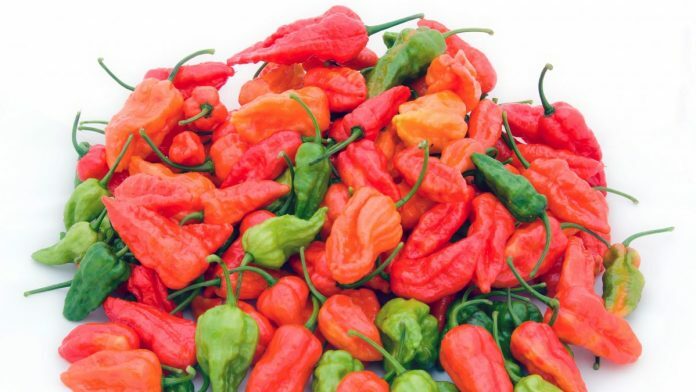 The other is bhut jolokia, or ghost chilli, the world’s hottest chilli, which is grown in the region. Kanishka marks Kochhar’s reappearance in London after a catastrophic Tweet last June in which he referred to “Hindus who have been terrorized by Islam over 2000 years.” A Twitter storm ensued and, even though he quickly deleted the Tweet, he was ousted from his restaurant at the Rang Mahal restaurant in the JW Marriott Marquis hotel, Dubai. He later was also dismissed from Benares. Wild Honey has closed after 12 years. Chef Anthony Demetre will focus on his Vermuteria all-day cafe at Coal Drops Yard, though he hasn’t ruled out reopening Wild Honey after a break. Demetre and his then-business partner Will Smith are best known for their much-missed Arbutus, which led a trend in inexpensive fine dining when it opened in Soho in 2006. Asia de Cuba closed its doors on Feb. 28 after 20 years. The Chino-Latino restaurant at the St Martins Lane hotel was a sensation when it opened in 1999. It will be replaced by St Martins Lane Kitchen, a restaurant pop-up serving an Asian-inspired menu. The hotel has plans for a second restaurant later in the year. Londrino also closed on Feb. 28, Eater London reported. The Portuguese restaurant of chef Leandro Carreira opened in Bermondsey to mixed reviews in 2017. He’s a talented chef with an impressive resume and is likely to bounce back. Orasay restaurant will officially open in Notting Hill on March 5, serving a fish-led menu menu celebrating chef Jackson Boxer’s love of the Outer Hebrides. The new establishment is currently soft-open, with 50 percent off the food bill. Boxer last year opened St Leonards restaurant in Shoreditch with fellow chef Andrew Clarke, who also joins him at Orasay.